Joy Reid attends Politicon at The Pasadena Convention Center on Saturday, Aug. 29, 2017, in Pasadena, California. “This note is my apology to all who are disappointed by the content of blogs I wrote a decade ago, for which my choice of words and tone have legitimately been criticized,” Reid said in a statement shared with NBC News, which, like MSNBC, is owned by NBCUniversal. The blog posts were unearthed on Thursday by Twitter user @Jamie_Maz. 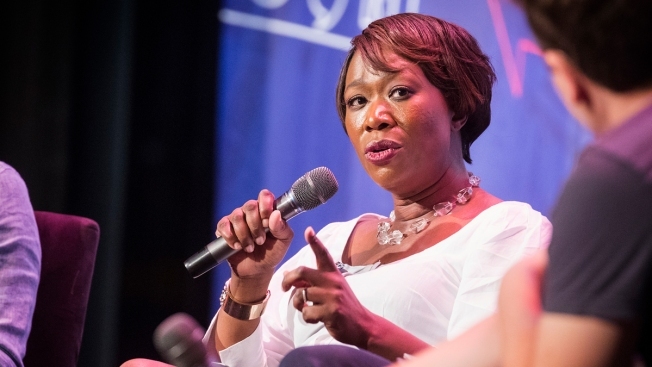 "From 2007 to 2009 @joyannreid authored a dozen homophobic posts not only attempting to out Charlie Crist as gay, she attacked & mocked him for being so," @Jamie_Maz wrote in the first of a series of tweets about Reid. During the time she wrote those blog posts, Reid was a morning talk radio host and blogger covering Florida politics.